The cAP lite is a tiny access point device, perfect for public locations and hospitality businesses like hotels, airports, shopping malls etc. Included with the product are two different casings, which can easily be swapped out, or, if you really like to fit the design with the environment, we are providing 3D printer friendly design files. The cAP lite supports 802.11b/g/n and can be powered by power over ethernet. It’s a perfect companion for the MikroTik CAPsMAN (controlled AP system manager), allowing you to control all your AP devices from one central location. 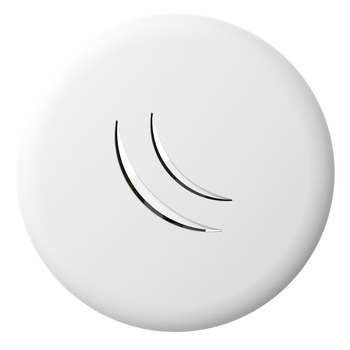 The cAP lite can also be used as a stand alone access point with the full potential of RouterOS.